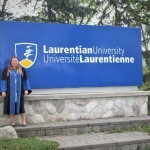 Now that you’ve ventured onto the Laurentian University Campus as a first-year student, you will quickly hear terms around campus which will raise a discerning eyebrow. The long corridor located on the first floor of the Arts building, between the Tim Horton’s restaurant and the stairs leading up to the Great Hall. What happens in the Bowling Alley, you wonder? Events, fundraising, awareness booths, vendors, information booths, etc. The Students’ General Association (SGA) office, is also located here. The iconic “Marché-style” dining venue where you get to choose your own ingredients and/or meal. Always fresh, ready and fantastic. The Court also includes Topper’s Pizza, Subway; extending to a brand new, modern, multi-function gathering space. High in a round tower – the J.N. Desmarais Library tower – overlooking the treetops beyond, is the surrounding warmth of a woodland nook; a deep silence of invitation for reading, reflection, and rest. The campus pub where you may want to unwind with a pulsating vibe of food and cheer. Your student card which is multifunctional. This ultimate card includes your bus pass; you can add funds to it for various purchases around campus; and, it is your Campus ID. 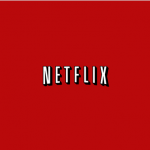 This is your best friend throughout your academic studies. Your ‘One Stop Student Centre’, located on the far end of the first floor of the Parker Building (don’t worry, you’ll get to know this building). The MyLaurentian Hub helps students with their applications, tuition funding, questions about their degrees; and… obtaining your OneCard. The outside central court surrounded by lush green grass, lovely trees to provide just the right amount of shade; a natures’ setting, strewn with picnic tables and chairs to converse, eat, or think. This area is rhythmic with student pedestrians along the paths – to and from the surrounding institution’s buildings. Many events, announcements, and activities are held here. Technically termed, this is the residence buildings. Rez is your home away from home – where you’ll sleep, eat, study, socialize – repeat … Welcome! First-year student residences are known as SSR (Single Student Residence) and UC (University College Residence). Note, there are eight residence buildings, including a Mature Students Residence building. The walkway which connects all Rez buildings. As the name implies, this little convenience store is ready for your when you’ve got the munchies. And, it’s located in the single student residence. It’s actually parking Lot #15 at the bottom of the hill, when entering the main entrance to Laurentian University. It’s great for judging your location in relation to time and place. You’ll understand once you’re here. These are just a few terms for you to become familiar with LU’s Lingo. Perhaps, during your academic years, you too, will come up with new lingo to add to Laurentians’ repertoire of campus language.